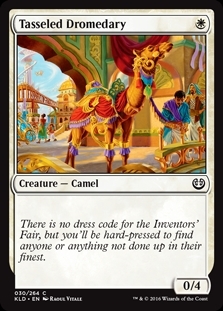 Aetherflux Reservoir ($6.48) Price History from major stores - Kaladesh - MTGPrice.com Values for Ebay, Amazon and hobby stores! Card Text: Whenever you cast a spell, you gain 1 life for each spell you've cast this turn. 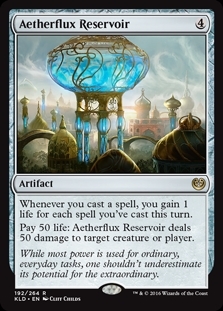 Pay 50 life: Aetherflux Reservoir deals 50 damage to target creature or player. 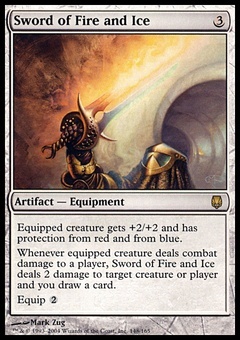 Flavor Text: While most power is used for ordinary, everyday tasks, one shouldn't underestimate its potential for the extraordinary.